digesting organic material. they dont breathe or speak through it. They are considered as very aggressive. 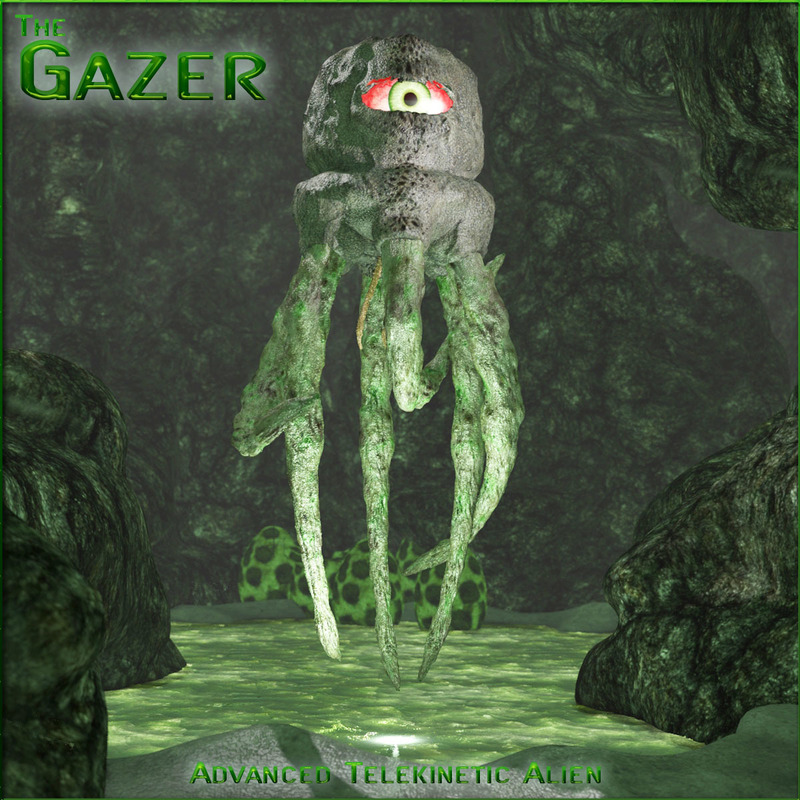 The Gazer comes as a grouped figure with dial injects for various poses. All tentacles have dials inject to rotate, bend and swing as a whole or after/before. Rem. : Tested in DAZ Studio 4 and 4.6; renders out OK, please check samples and read me. Product is designed for Poser. Check out our big freebie area and other SciFi and Horror sets. 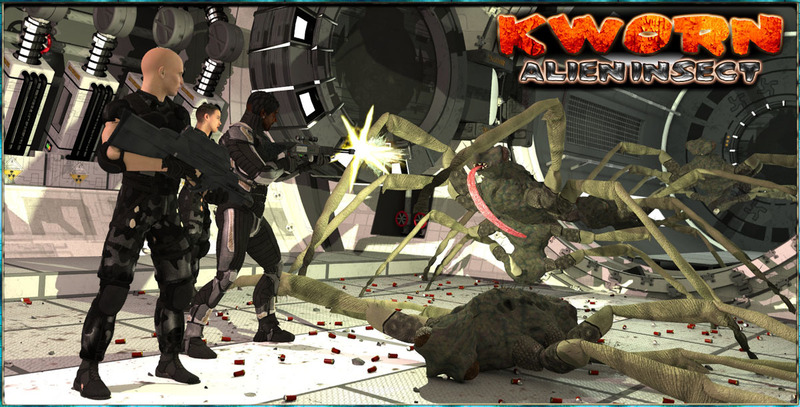 The Kworn are a hostile insect race. No question, if you encounter any of them, weapons at arms and open fire. This will bring you a the Kworn Alien Insect figure. Fully poseable and made for a battle. Included are 4 preset poses and a plain mat. Dials in the head will let you pose the tongue.